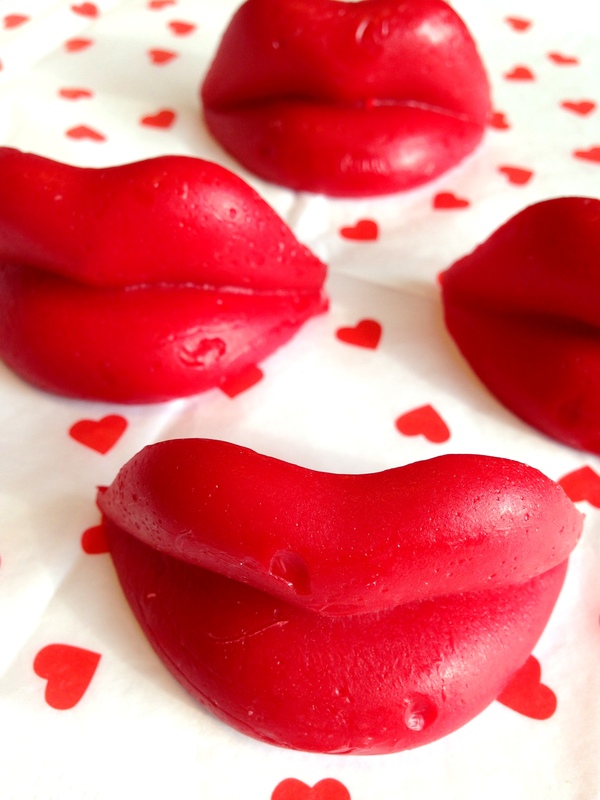 Get some wax lips (your kisses! 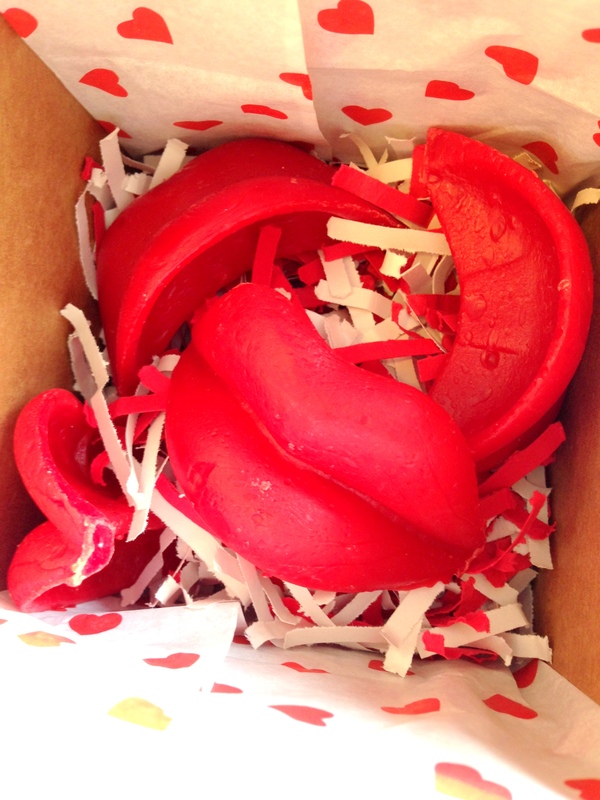 ), I ordered mine on Amazon after I searched Target, CVS, PartyCity and a local candy shop and couldn’t find any – does no one use wax lips anymore? 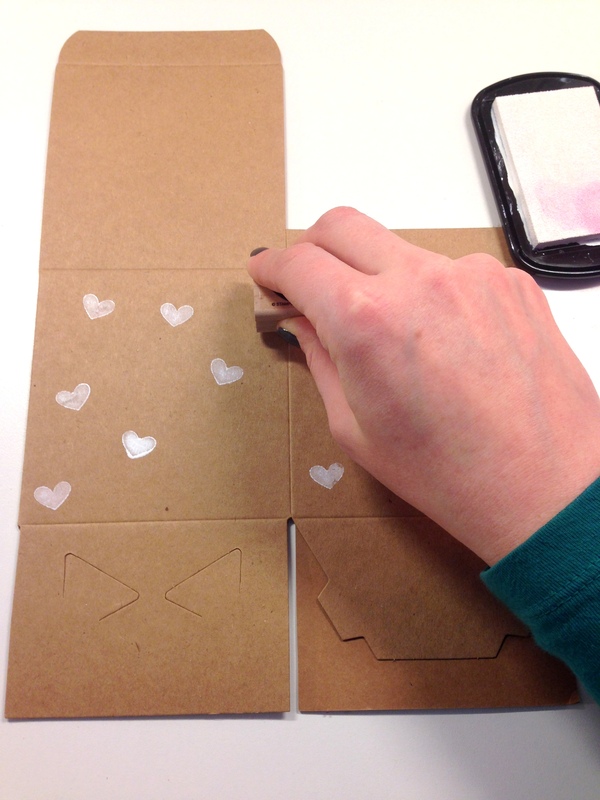 Stamp your boxes. 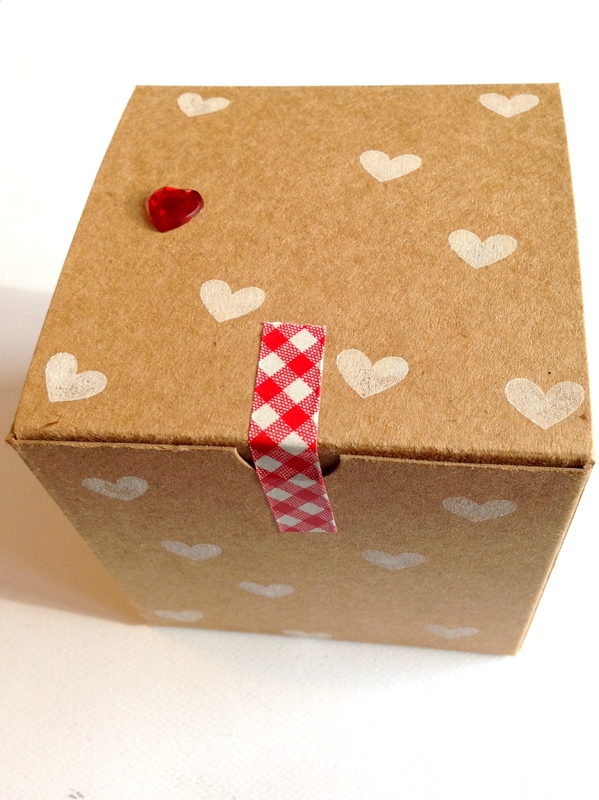 I used a tiny heart stamp in white ink on brown boxes I found at Michael’s for $.79. 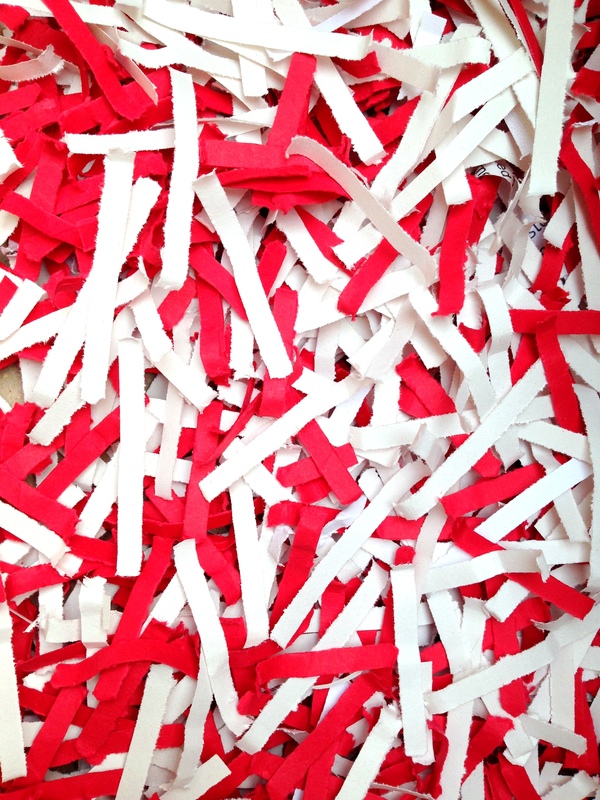 Buy red and white package filler (or make your own like I did by shredding paper in your home paper shredder). 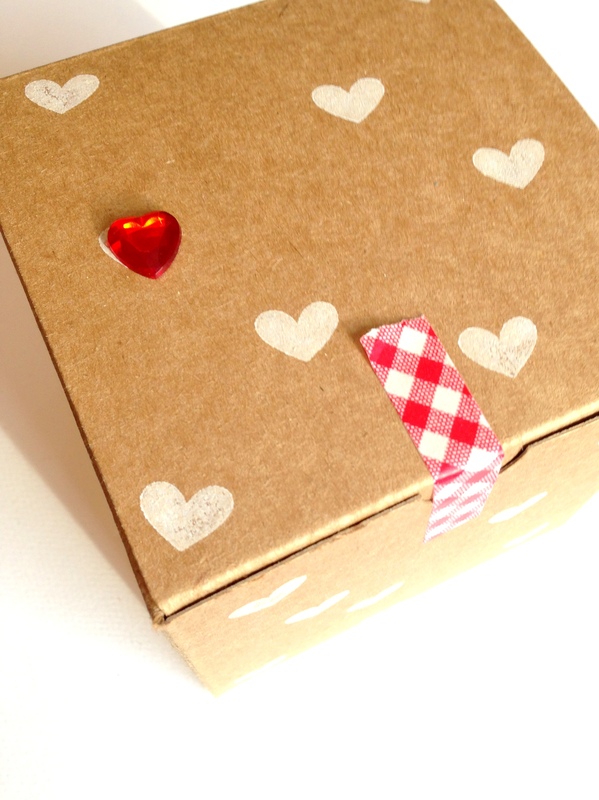 Then put your package of kisses together! Seal with a little washi tape. PS. I also included a little card in the ones we’re sending, but something needs to be a surprise for my Valentine’s Day package recipients!